We’re currently in Kampong Cham, Cambodia, where the nights are hot and sticky and the streets are full of fried spiders (in reality, mostly clothes). 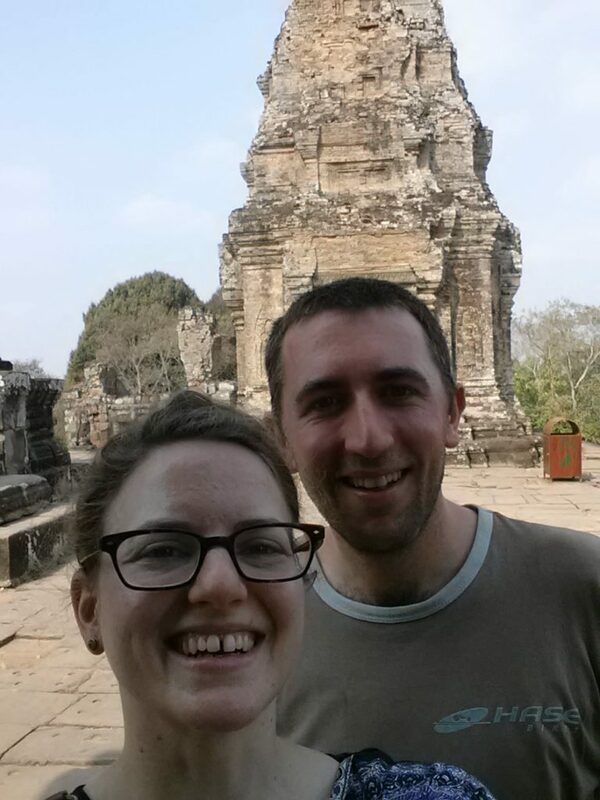 Yesterday, we continued our bike tour around the temples of Angkor Wat and saw several more sights. 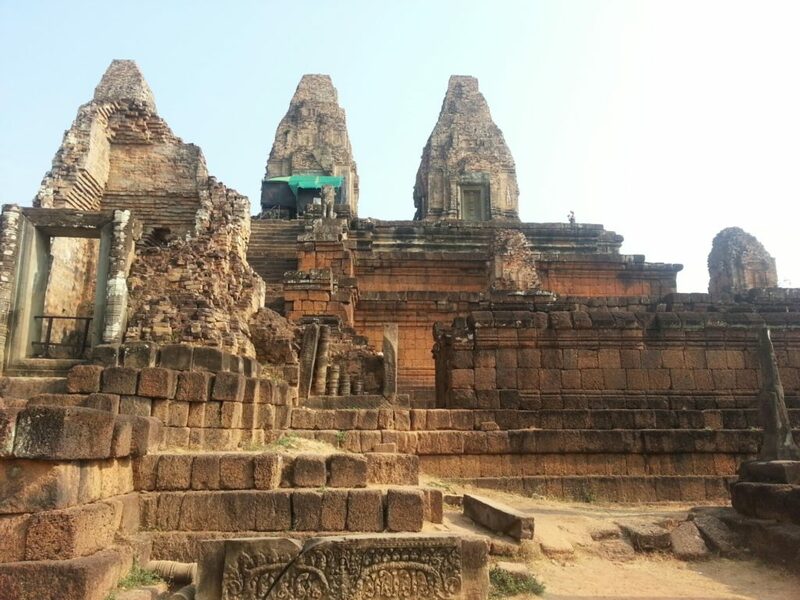 Being on bike, we were able to make a few small detours to wander around lesser known ruins. The areas of Preah Neak Poan and Preah Khan were stunning, especially because you needed to make a grand entrance over rivers and moats. 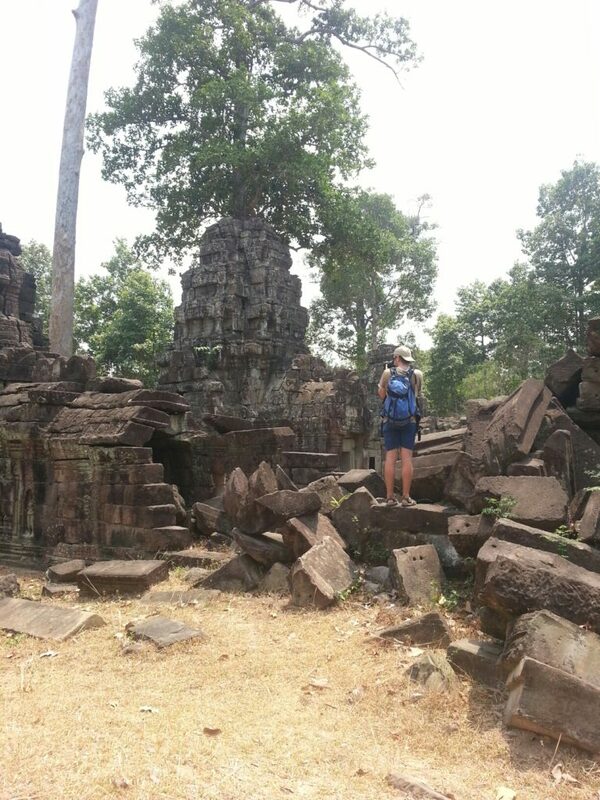 At the last temple, Phnom Bakheng, we made the exhaustive climb in over 99°F / 37°C heat to catch a glimpse of the Angkor Wat temple from a far. Today, we spent the better part of the day sitting in a bus, wondering whether we were actually going to Kampong Cham. This route isn’t frequently traveled by tourists coming from Siem Reap, so it was difficult trying to confirm that we were headed towards the correct city and needed to change bus lines at a certain stop. The bus blowing a tire also didn’t help. 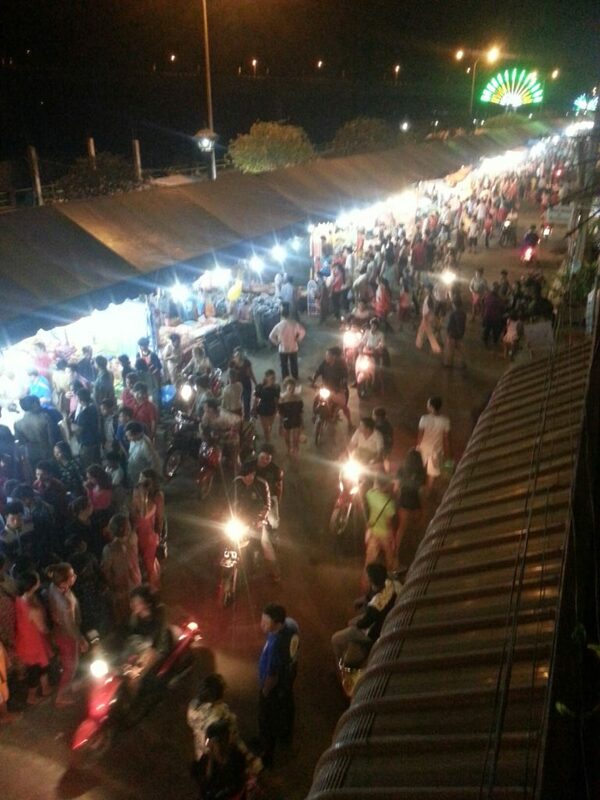 But we made it to Kampong Cham and Cédric and I rewarded ourselves to some tasty street food. 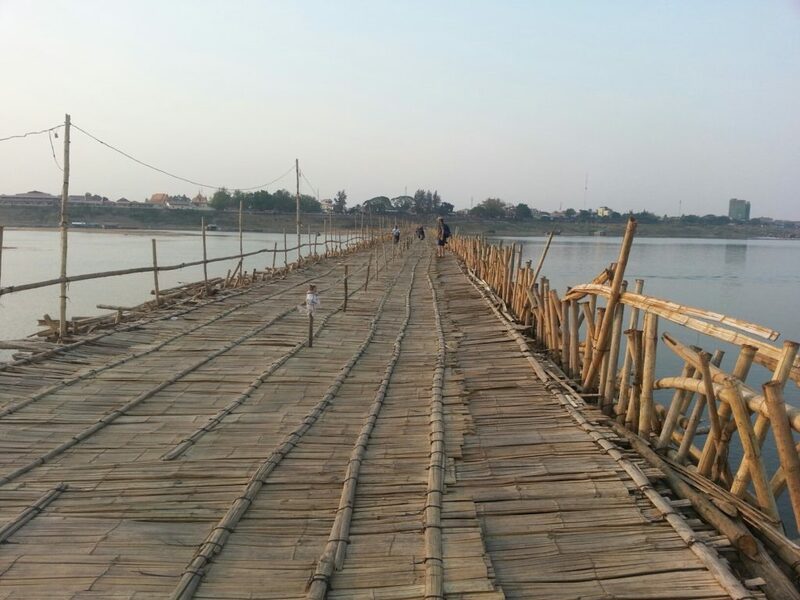 Afterwards, we walked across an epically large (1km) and questionably stable (it held up an SUV) bamboo bridge to see the island of Koh Paen and swim in the Mekong River. Apparently this bridge is rebuilt each year after the rainy season floodings, but a concrete bridge is built down river. We’ve decided to extend our stay by a day here in Kampong Cham, mainly to visit a few surrounding temples and villages. Afterwards, we’re going to move up the Mekong to the city of Kratie.